U.S. 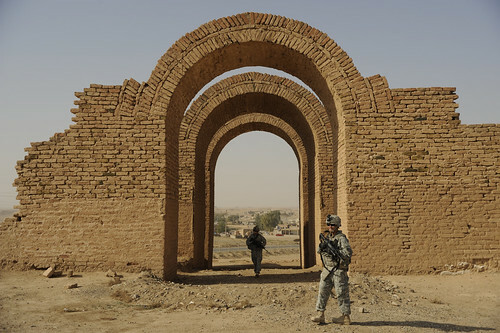 Soldiers from Crazy Horse Troop, 1st Squadron, 3rd Armored Cavalry Regiment provide security for the Provincial Reconstruction Team and representatives of United Nations Educational, Scientific, and Cultural Organization visiting the ancient city of Ashur, the site is now known as Qalat Shergat, Iraq, Nov. 21. Ashur is one of three areas in Iraq that is a World Heritage site.